Connecting support and development teams has never been easier. 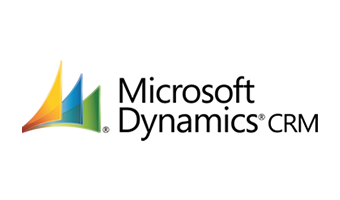 Escalate issues, bugs or feature requests by integrating Microsoft Dynamics CRM, Salesforce.com or ServiceNow with TFS & Azure DevOps (VSTS), JIRA, RALLY and VersionOne. We connect support and development. This is all we do. 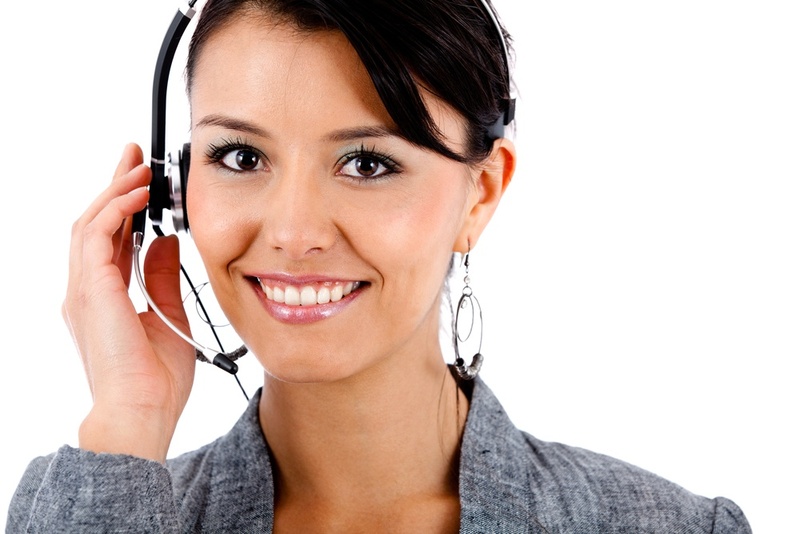 We are a targeted niche integration service. We go deeper and support this flow like no one else. No development is required. Zero. Nada. Zilch. Point-and-click configuration and you are done. You can integrate in minutes. 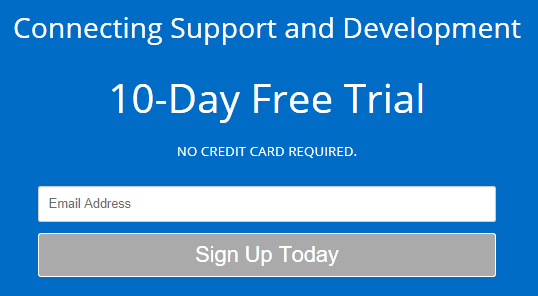 Eliminate the black hole between support and development today! You won't need IT for this one ;). We are a Microsoft Azure cloud service (SaaS). You only need an account (e.g., free trial) to get started. Awesome integration and excellent support! Yes! Finally support and development systems are integrated to eliminate mindless data entry! Point and click your way through account set-up and configuration. Connect CRM Online or on premise. Development apps can also be in the cloud or hosted locally. Point and click your way through account set-up and configuration. Connect ServiceNow to either cloud or locally hosted development applications. Point and click your way through account set-up and configuration. 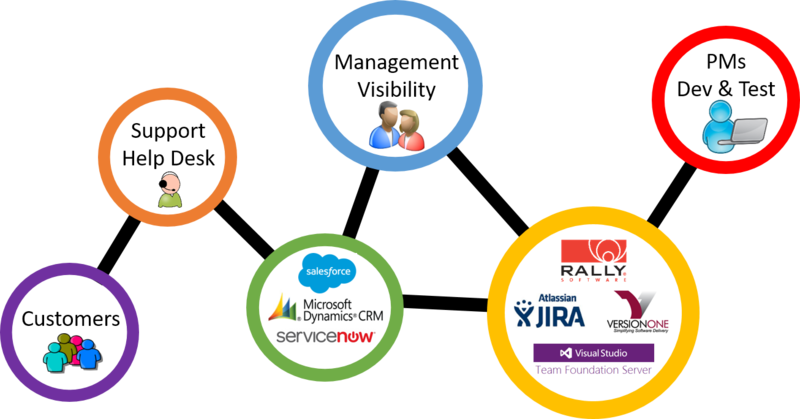 Quickly and easily connect Salesforce.com to either cloud or locally hosted development applications. Everyone Starts with A free Trial! The best way to get started is to sign up for a free trial. By integrating your environments you'll see firsthand how easy it is to eliminate the “black hole” between support/help desk and development teams. Let your team focus on the important work --- and start integrating today! No coding - it's ready today! Flexible subscriptions. Start and stop when you want! No credit card required. Easy. Go!